A Limited Edition fine art print by Peter Deighan. Arkle, or 'Himself' as he was affectionately known deserves his title as the greatest ever steeplechaser. He had the highest Timeform rating, at 212, ever awarded and to put this into perspective, more recently, Desert Orchid, was rated 187. Arkle would have been asked to give David Elsworth's brilliant Gold Cup winning grey 25lb were they ever to meet in a handicap. 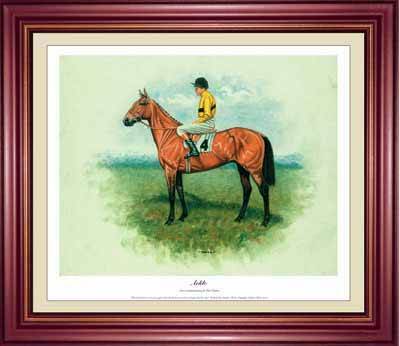 Arkle competed in three Cheltenham Gold Cups and won all three in 1964, 1965 and 1966. He truly was "the Greatest".